We're going to start tagging along in the evening with one of the groups, but Matt is waiting until I've… errr… acclimatized myself to the idea of woolly tarantulas and coral snakes and such. I don't want some poor biology students to be subjected to my fit should we encounter some large, creepy crawly. Well, this morning there was talk of seeing both a coral snake and a viper on the same night. 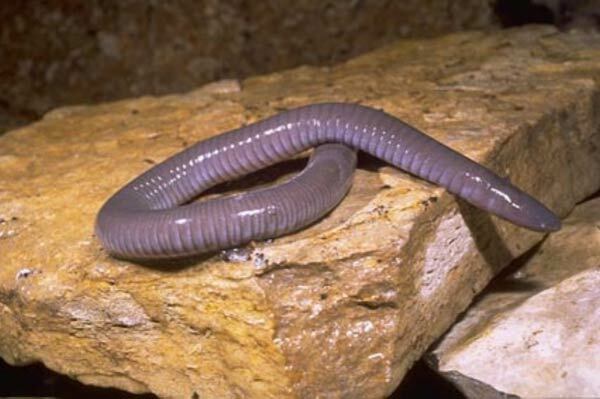 One of the students - a bear of a guy, Nick, who studies at the Colorado State University - had spotted a caecilian, an amphibian that resembles a large worm, near a pond where they were collecting frogs. Wondering why it wasn't moving, he started yanking on the tail. A girl in his group, Emily, mentioned that he might want to stop and pointed out that he was playing tug-of-war with a coral snake. Sure enough, the caecilian had already been partially swallowed by a coral snake, which slithered away with the long tale hanging out of its mouth. Not too long after they spotted the viper as well. So… our bets are on starting the night walks tomorrow. Matt has been trying to point out things to me like the fact that ledges are probably more dangerous than the rainforest, so the worst is behind us. Unfortunately, my fears of things that slither or have many legs are mostly the irrational type, where I stand 20-50 feet away from the gardner snake and you tell me what color it is. Then I have visions for the next 10 minutes that the snake is going to jump out of the grass and coil itself around me. So apparently our whole mission in South America was to challenge my three terribly irrational fears: sheer drops, snakes and spiders. Nighttime in the Amazon, watch out!